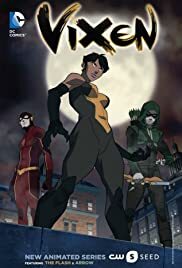 Mari uses her new found powers to evade the efforts of Arrow and Flash who are attempting to subdue and question her about the events at S.T.A.R. laboratories. After the death of Kuasa, Vixen faces Eshu in final battle to destroy the Fire Totem and defeat the villain. Mari comes to grips with her new found powers and embraces the animals who have surrounded her and provided protection. Afterwards she begins to provide that same protection in the city of Detroit.